If you’re just about to embark on your own WordPress Project or thinking about starting up your own blog, then this WordPress checklist will come in very handy! It can be daunting building your own WordPress website or blog. That’s why we have produced an easy to understand step by step checklist of all the tasks you need to do in order to create a fully functional and great looking website. 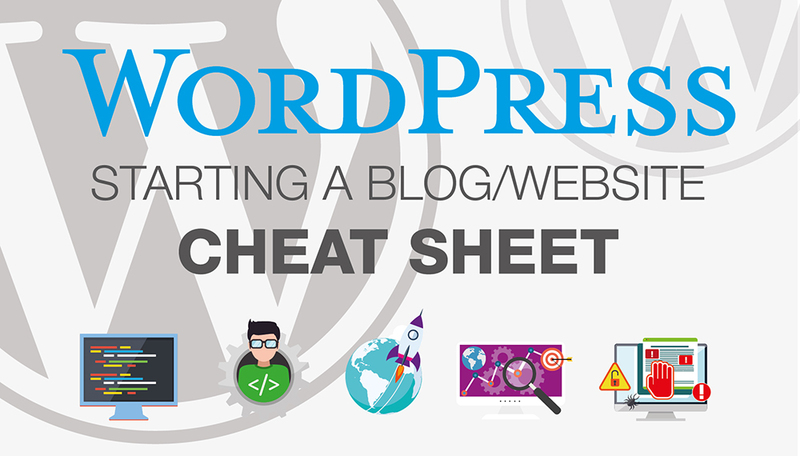 This is a fully up-to-date (2019) Start a WordPress Blog / Website cheat sheet which will no doubt become a No.1 resource for WordPress Designers, Developers, and bloggers alike. We’ve outlined every detail from pre-development stage right through to launch and beyond. We have the ultimate checklist to help you through the potential hair pulling out tasks of building your own WordPress website.